Before we start, allow me to recap and elaborate upon some of the finer points here. The WAR figures here are compiled from publicly available calculations of WAR, to which I apply aging factors and calculate weighted averages. For Major Leaguers, I use WAR calculations from FanGraphs, which are wOBA and UZR based for hitters, and FIP-based for pitchers. If and when minor league data is used in a projection (which generally means a player who has spent more than just rehab time in the minors over the past 2.5 years), I use MLE FIPs from Minor League Splits for pitchers, and use Minor League Splits’ MLE on hitters to produce a wOBA calculation, which I then convert to WAR using Fangraphs’ methodology. The minor league data will rarely be a big part of the equation, however; for anyone with less than a year of service time, we are using Victor’s previously described prospect slotting method. And trades of players with, say, 1.5 years of service time are semi-rare. Are these the figures I would use if I were sitting in a front office? Nope. But for the purposes of understanding a club’s rationale and the implications of a trade, this will do fine. This methodology also takes into account 2009 data when when projecting value for the remainder of 2009, something many other systems fail to do. As in, if a player had wOBAs of .320, .335, and .307 over the last three seasons (which would predict a .318, using 5-3-2 weighting), and was at a .343 wOBA halfway through 2009, his projection from here forth is not still .318. This should be obvious, but it’s a common error. I’m using Victor Wang’s prospect values, which you can see here. Victor’s work on this is excellent; I simply made some adjustments to reflect our new economic climate and changed how he discounted future value for prospects ever so slightly. I’m using $4 million per WAR now; that is just a tick below what it was last offseason. And my primary source for slotting prospects was Baseball America’s top 100 list, cross-referenced with grades from Jon Sickels. Obviously, there’s a bit of room for subjectivity here, but it rarely makes more than $1 million difference if you decide to bump someone up or down a slot. Also, for all the trades here, I’m examining them from the perspective of the contender. If you recall from the article, these are not zero-sum equations; just because one team “lost” $2.2 million of surplus value does not mean the other team gained the same amount, due to divergent near-term goals (ie. Cliff Lee is worth more to the Phillies than the Pirates) and varying ability to replace a player. While nobody heading to Cleveland is a blue chip prospect (with the possible exception of Jason Knapp), the Phillies gave up an awful lot of value here. Baseball America had Donald and Marson each in the 60s on their top 100 list; I find both slottings to be at least a bit generous, especially with Donald. I slotted him down to a 75-100 hitting prospect based on his subpar ’09. I could easily have done the same for Marson. If I did, the trade would be a virtual wash from Philly’s perspective. However, I easily could have bumped Knapp up a bit too; he’s obviously an incredible talent, but 18-year-old pitchers are, to say the least, risky, and there’s a lot more value in someone who can start contributing in three months than three years. That said, I still like the move the Phillies made; they managed to get a year and a half of a frontline starting pitcher with a well below market deal without touching Kyle Drabek, Dominic Brown or Michael Taylor. Besides, they’ve done really well to get themselves into some very favorable long-term contracts with the right players (Chase Utley, Jimmy Rollins and Cole Hamels). Combine that with their recent success, and Philly can afford to trade away a future No. 3 starter and instead plan to buy one on the FA market when needed. As far as Cleveland is concerned, in terms of raw value, they did very well or even great here. But which way is the ship going? 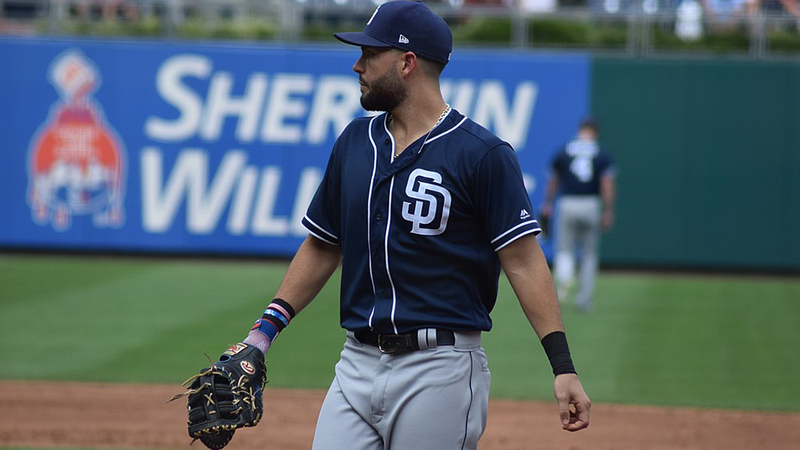 I rationalized the DeRosa trade a few weeks ago by accepting that they were going to try to contend next year, and reasoning that a cheap seventh/eighth inning arm (like Chris Perez) could be an important chip in that process. That almost justified giving up DeRosa in return for such mediocre ceiling. But while Carrasco and Marson are likely ready to contribute on some level right now, are they going to be impact players in some sort of playoff push in 2010? Very unlikely. In giving up Lee, a No. 1 starter signed for $10 million next year, Cleveland has made it clear that 2010 is not their time. I feel for Mark Shapiro, really; this team has had some awful luck the past couple seasons. But for the sake of his own job security, you might think he’d have wanted to be more aggressive with his 2010 vision. I know that since I have spreadsheets full of baseball statistics on my computer, I’m supposed to have a man-crush on Theo Epstein. But I just do not see the logic here. So Victor Martinez gives you the ability to play the matchup game especially well between Kevin Youkilis, David Ortiz and Jason Varitek. But you give up Justin Masterson, Nick Hagadone and Bryan Price for that? Martinez is locked in at a nice bargain price for 2010 (even with the salary escalator he receives for being traded). And sure, Boston is awash in young pitching for the time being. But to me, this is like Bill Gates paying a million bucks for a haircut. Does it provide him some value? Yup. Can he afford it? Totally. But that doesn’t mean it was a good deal for him. Cleveland probably should have accepted Masterson straight-up, at most with a Jason Place to be named later sprinkled in for effect. Back to Cleveland; combined with the Lee deal, they’ve rounded up four of perhaps the top 60 pitching prospects in the game, plus a very good looking young starter in Masterson, before you even get to Marson and Donald. This is the Oakland/Texas model of the past couple years: building the farm system via trades. You can agree or disagree with the goal, but you have to admit that once they made up their minds, they knocked it out of the park. Ladies and gentlemen, behold possibly the worst deadline deal in recent memory. Jake Peavy may or may not pitch again this year. Over the last year and a half, he’s been on the shelf for roughly one-third of the time. And, he’s locked into a deal that pays him more than he would receive on the open market today. Now, the current projection I have for Peavy may well be a bit harsh; when healthy, he’s one of the top five to eight starters in the game, and that projection would imply he’s somewhere around the 25th. But I don’t feel comfortable just completely ignoring the injury history, especially since they included elbow issues last year. It’s still a terrible deal. Now, you know what? This is going to be a silent killer; like the Carlos Lee contract. What I mean is, nobody really pays attention to how bad of a contract Carlos Lee has because he’s meeting expectations with the bat, and Minute Maid Park makes it look even better, so no perception exists that Houston didn’t get the player they signed. If you were a .300 hitter, then signed a $15 million contract, and continued to hit .300, nobody calls you overpaid, even if you were only worth $12 million a year to begin with. The worst aspects of that contract (the $4 million or so a year he’s overpaid along with the length of the contract the late years) are invisible; when you’re watching Lee put up a .900 OPS, it doesn’t immediately strike you that his overpriced contract comes at the expense of other areas of the roster, or that he’s going to be a huge drag on the organization pretty soon. I imagine it will be the same with Peavy. Regardless of what happens for the rest of 2009, 12 months from now, all people will really think about is that Jake Peavy is one of the top pitchers in the game, and Kenny Williams went and got him. The fact that controlling fourth starters and middle relief pitchers like Richard and Russell through arbitration (instead of buying them on the open market) is a tremendous asset for an organization is just not what’s on the mind of a ChiSox fan while he’s watching Jake Peavy shut out the Tigers next July. The fact that what you’re paying Peavy could have bought you much more value on the open market will be forgotten by then. Odds are Poreda is not going to be leading a rotation into a World Series in the next couple years. Carter may not have a year of service time before Peavy’s contract is up. So, despite their value (both present in terms of trading capital, and future in terms of on-field), nobody is going to say “Oh ####, Kenny Williams blew it” anytime soon, or likely ever. So, unless Peavy continues to blow himself up with injuries, Kenny Williams is going to get praised for this move, whether in October, next July, 2011, or all of the above. But the people doing the praising will not be taking an adequate measure of the pros and cons of the choice he made at the time, which was abominable. If you saw a guy leaving a poker table with $50,000, you’d think he played like a master. But you weren’t there to see that he sat down with $500,000. Kenny Williams is that guy. While a somewhat interesting read, this model will always value quantity over quality. Has your model ever tilted towards the team acquiring the “star” while giving up 3 or more players in return? I highly doubt it. Shouldn’t future wins and salary be discounted to get a NPV-type view? Seems like the teams acquiring the “star” are trading wins later for wins now. I don’t disagree that the Sox gave up quite a bit considering the control they had over their players versus the 1.5 years they have with Martinez. But in Boston’s defense…they simply have enough that they can do stuff like this. Why risk haggling too long and missing the deadline. They’re like the millionaire who overpays for the limited model sports car. It’s not efficient, but it doesn’t have to be if they get what they want. It would be more bothersome if Boston didn’t have a deep farm system. But they do. They have much better prospects that Hagadone and Price. I know it’s one of the more minor moves, but I’d like to know how the Sanchez – Alderson deal measures up in this model. Any chance we could get a quick and dirty net from the Giants side? Where would the Astros have gotten the production of Lee if they hadn’t overpaid for him? The market is not like a buffet where there are unlimited options to choose from. The additional revenue that acquiring players like Peavy and Lee provide, make their contracts more reasonable. Not just the millions of dollars a playoff appearance adds to the club, but from secondary income as in merchandise sales, ticket sales, etc. While their production may say they are a $12 million player, their name says they’re worth more. I would love to see this formula break down the Beckett/Lowell-Ramirez trade package…. This is really a silly formula. Prospects, are at best, suspects. It appears in almost every trade quantity takes a back seat to quality. Alot of prospects in these trades probably, wiil end up being borderline ML players, or huge disappointments. This is so true…I bet the writers analysis would have raved about how great the Santana trade was for the Twins and how much value the Mutts gave up in the deal. That’s what makes this so ludicrous. It is too arbitrary and assigns too much worth to guys who are nothing more than projects and possibilities. Does this system just spell out the obvious, that all the teams that gave major league talent for prospects were trying to cut payroll and hence add finanacial value. So this system is telling them how much money they saved on there balance sheet, not how much the teams will benefit from on field performance. so the sox, the sox, and philly all spent money to win now. And cleveland and san diego are saving capital to try winning after 2012.
this would be a great article and a great system if baseball had a salary cap and money mattered. but it doesnt so see if you can work this into the NBA. Don’t think you can linearly equate stuff in this manner. This equation assumes sum of parts equates to a ‘stud player’. I’d disagree with this point. Can’t have a lineup full of ‘slightly’ above average players and expect to win. Nice article, and as a Red Sox fan, I understand what you are saying, but I think you forgot that Jason Varitek is going to retire soon. Victor Martinez is a catcher, among other positions. Uhh, what a great article. Uhh, I agree with everything you have to say here.